The NCAA has named Amy Reis director of women’s basketball, effective September 4. Reis currently serves as associate commissioner for championships and sports administration at the West Coast Conference, where she has worked since 2015. During her time with the West Coast Conference, Reis served as a senior manager, with direct oversight of all 11 conference championship events, including the West Coast Men’s and Women’s Basketball Championships. She also was the primary staff liaison to the West Coast’s Championship and Sports Administration Cabinet as well as the tournament manager for the NCCA Division I Women’s College Cup in 2016. In her new role with the NCAA, Reis will return to the organization’s national office in Indianapolis, where worked from 2008 to 2015 in the brand strategies and events area and on the championships and alliances staff. 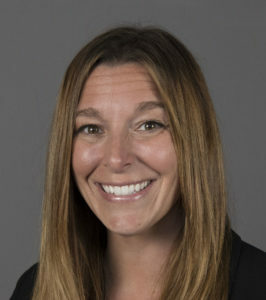 She previously served as the branding, marketing and on-site account coordinator for a number of championships, including Division I women’s volleyball, the Women’s College World Series, Division I men’s lacrosse, the Football Championship Subdivision and the Division II National Championships Festival. Reis attended the University of Nebraska at Kearney, where she was a member of the basketball team. After graduating in 2004, Reis served as director of marketing and promotions at Eastern Illinois University from 2005 to 2008.